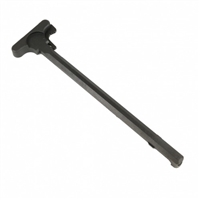 The Strike Industries ARCH (AR308 Charging Handle) is an easy to use, ergonomic charging handle. The raised rear lip helps divert harmful gasses, oil, and dirt away from the shooter, while the highly polished, anodized surface allows for clean, smooth function. Manufactured from 7075-T6 aluminum and hardcoat anodized for maximum durability. Radian Raptor .308 ambidextrous charging handle by AXTS. The Raptor is truly revolutionary in design & function. From rapid palm “blading” or finger thumb charges of the weapon, the motion is fluid & fast from either strong or support side. Made in the USA from aircraft grade 7075 aluminum and milspec anodized. Simply one of the best charge handles on the market! !